"Tol'able David" is a rousing drama of small-town America, in which Richard Barthelmess plays one of his most memorable roles. David (Richard Barthelmess) is a young fellow, who is constantly reminded that he is not mature enough for a grown-man's job. Then dramatic events occur and he has the opportunity to prove himself when he is pushed to the limit in circumstances, which very few "real men" can handle. "Tol'able David" was added to the National Film Registry in 2007 as being deemed "culturally, historically, or aesthetically significant". 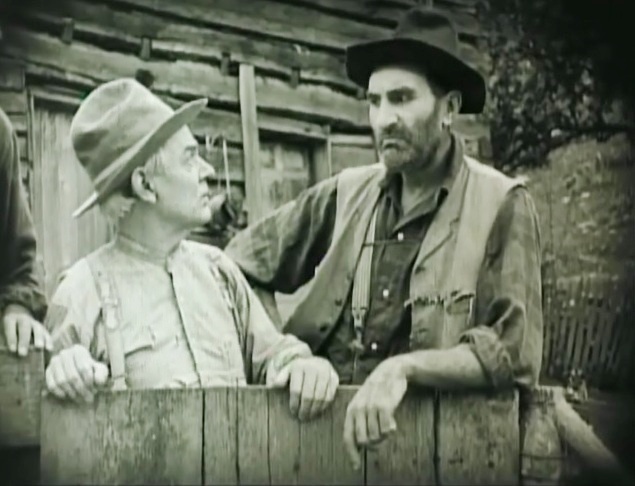 The film is ranked number 48 in the list of The Top 100 Silent Era Films of the influential website Silent Era. It has an outstanding rating in IMDB. 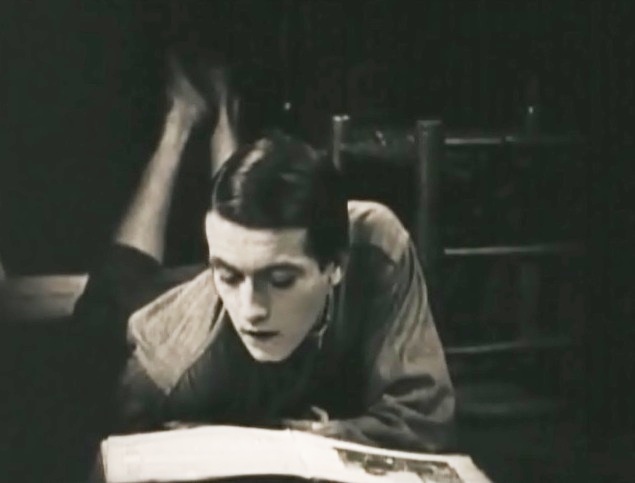 Richard Barthelmess reads the story about David and Goliath in "Tol'able David" (1921). Gladys Hulette is the pretty girl next door in "Tol'able David" (1921). 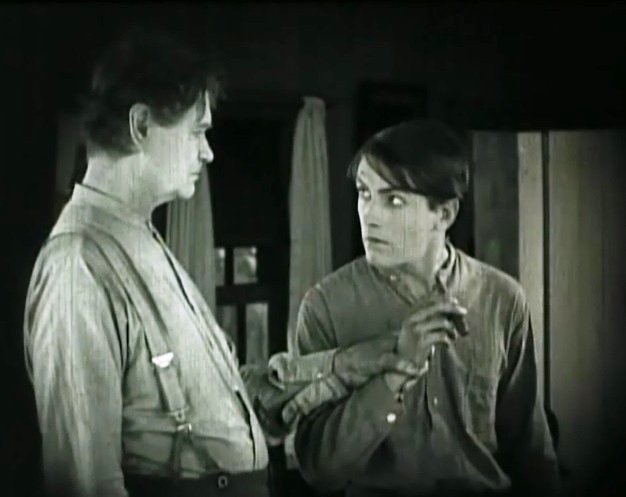 Richard Barthelmess talks to his brother Warner Richmond in "Tol'able David" (1921). Richard Barthelmess and Gladys Hulette spend some fun time together in "Tol'able David" (1921). 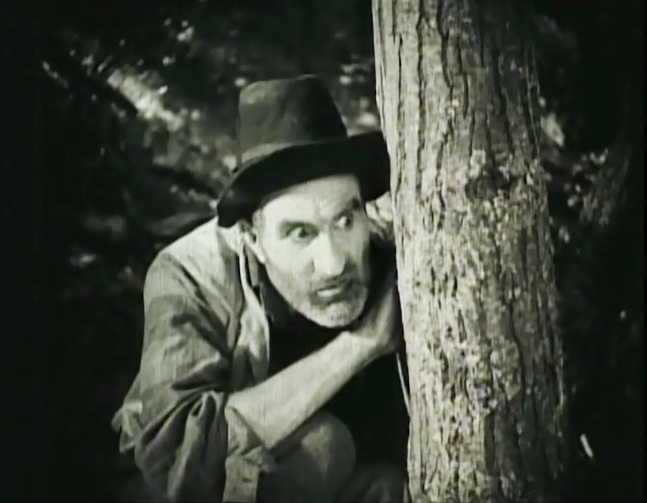 Ernest Torrence is one of three fugitives from justice in "Tol'able David" (1921). 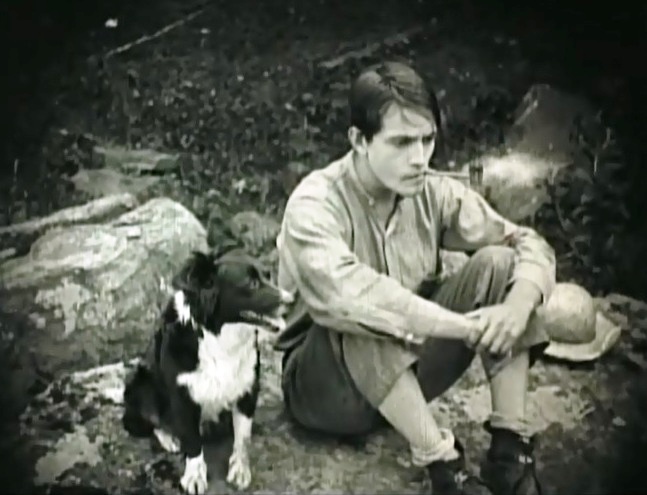 Gladys Hulette watches Richard Barthelmess trying to catch a trout in "Tol'able David" (1921). 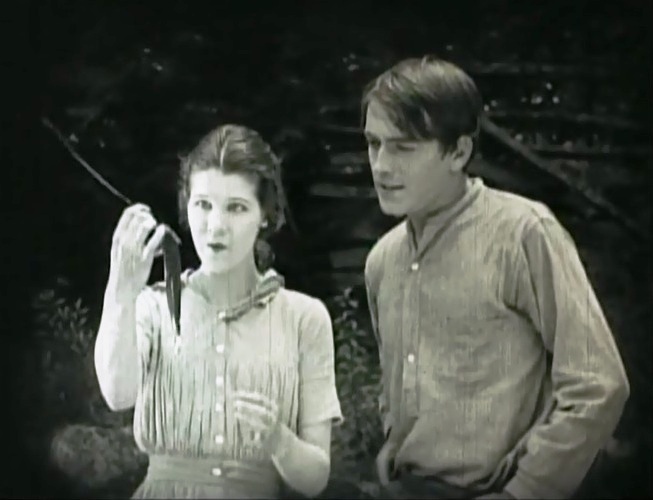 Gladys Hulette is excited as Richard Barthelmess catches a trout in "Tol'able David" (1921). 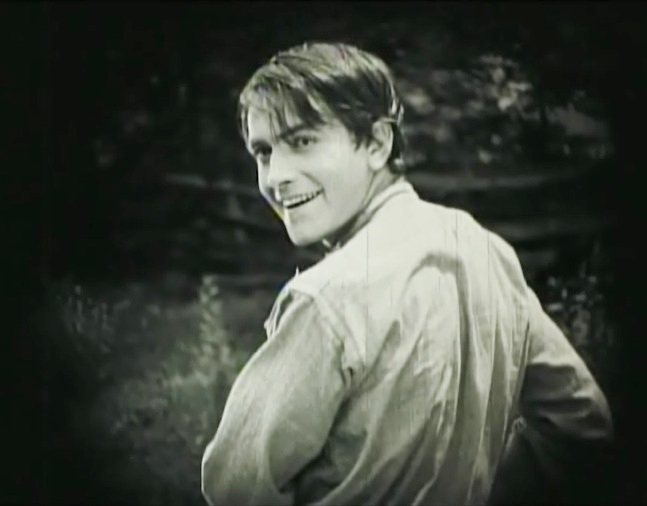 Richard Barthelmess is happy with his catch, too in "Tol'able David" (1921). Gladys Hulette is thrilled when Richard Barthelmess gives her the trout in "Tol'able David" (1921). Richard Barthelmess smokes a cigar to appear more mature in "Tol'able David" (1921). 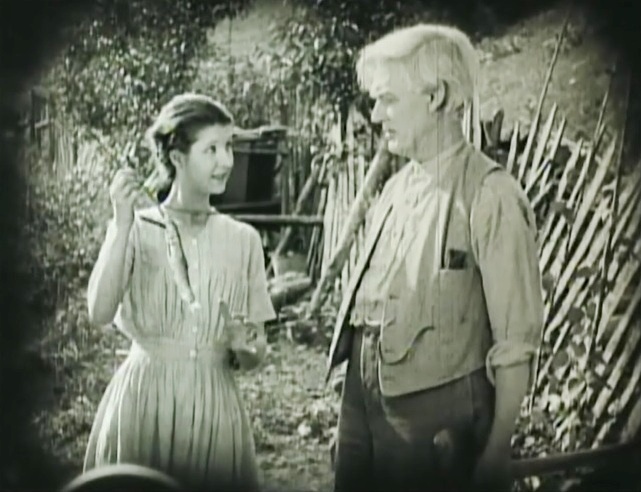 Gladys Hulette shows the trout to her father Forrest Robinson in "Tol'able David" (1921). 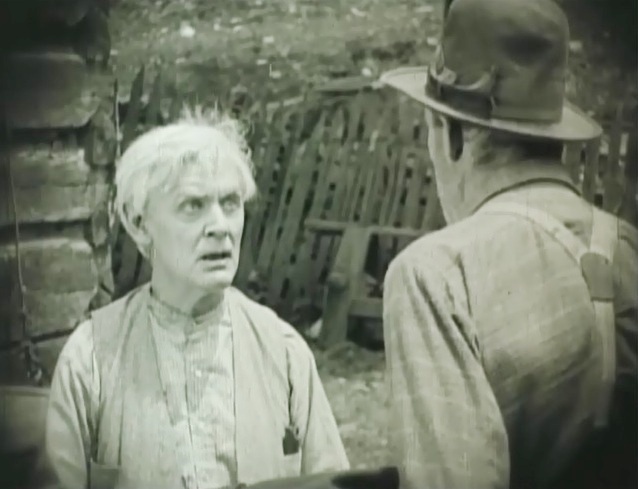 Forrest Robinson is very worried when his fugitive cousins show up in "Tol'able David" (1921). 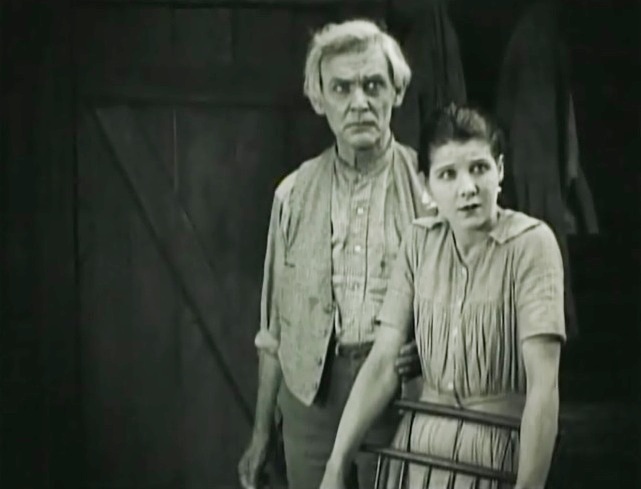 Forrest Robinson and Gladys Hulette are very uneasy when the fugitives install themselves in their home in "Tol'able David" (1921). 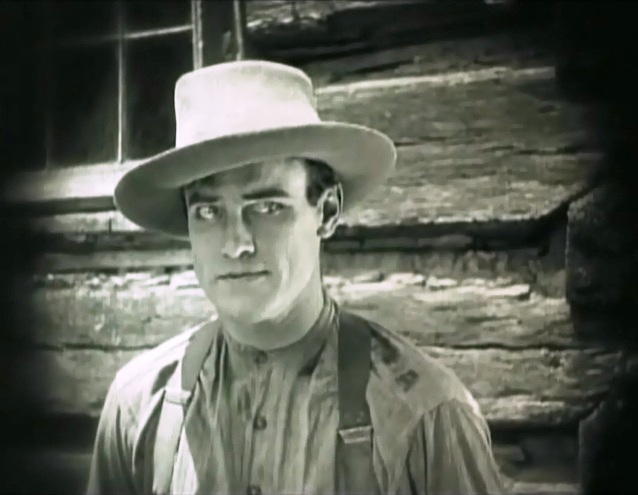 Gladys Hulette tells Richard Barthelmess about the fugitives in "Tol'able David" (1921). 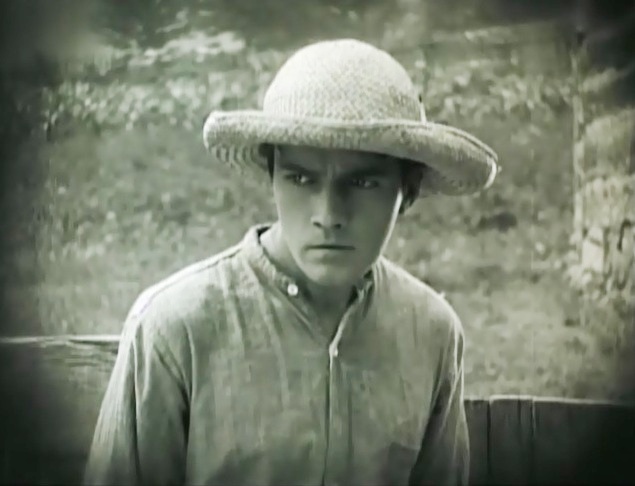 Richard Barthelmess pauses after an unpleasant encounter with the strangers in "Tol'able David" (1921). Richard Barthelmess tells Warner Richmond about his newborn baby boy in "Tol'able David" (1921). 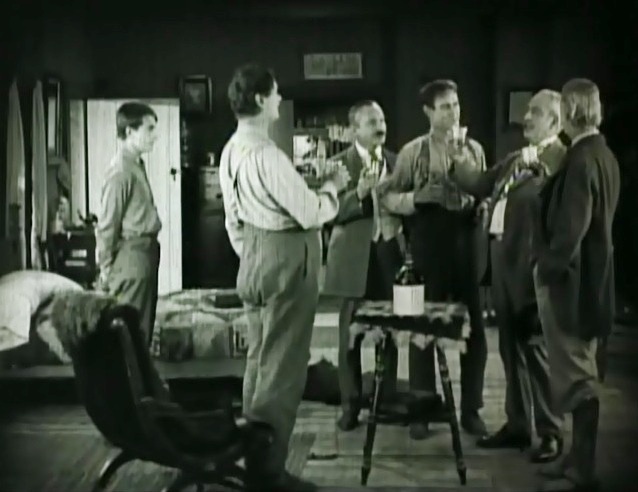 Richard Barthelmess is ignored when the men raise a toast for the baby in "Tol'able David" (1921). 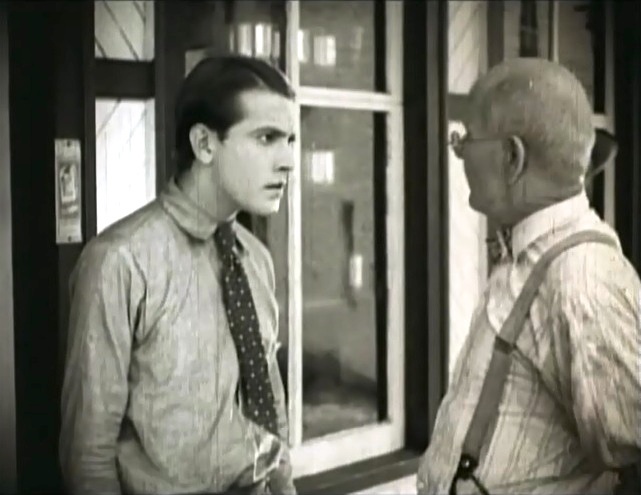 Richard Barthelmess is stopped from smoking by his father Edmund Gurney in "Tol'able David" (1921). 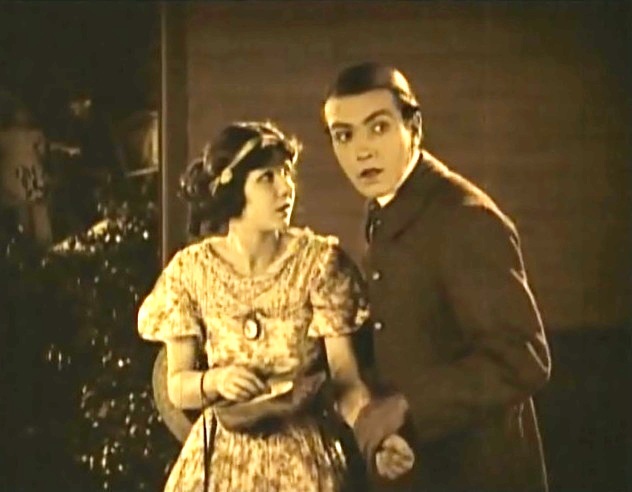 Gladys Hulette tells Richard Barthelmess that she is afraid of the fugitives in "Tol'able David" (1921). 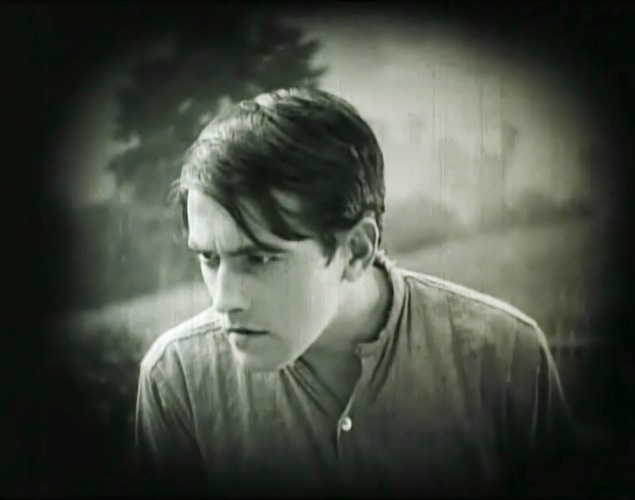 Richard Barthelmess is worried about Gladys Hulette in "Tol'able David" (1921). Gladys Hulette appears to tell Richard Barthelmess 'I love you' in "Tol'able David" (1921). 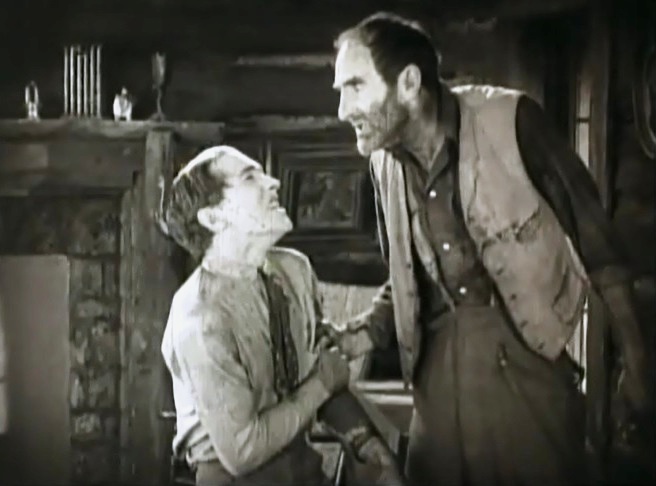 Warner Richmond threatens Ernest Torrence with revenge for killing his brother's dog in "Tol'able David" (1921). 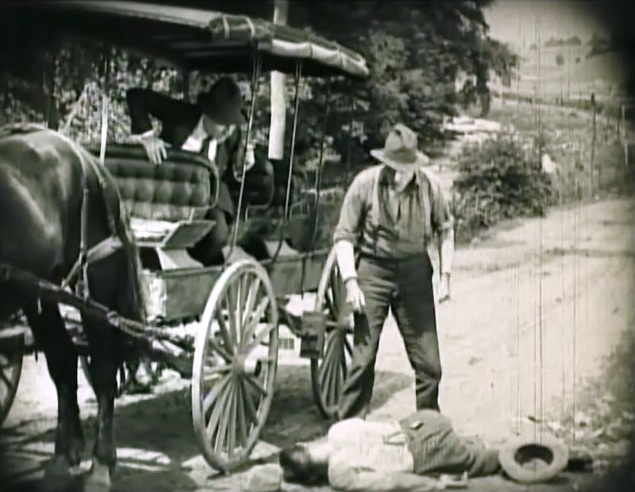 Warner Richmond lies lifeless after being hit with a large stone by Ernest Torrence in "Tol'able David" (1921). 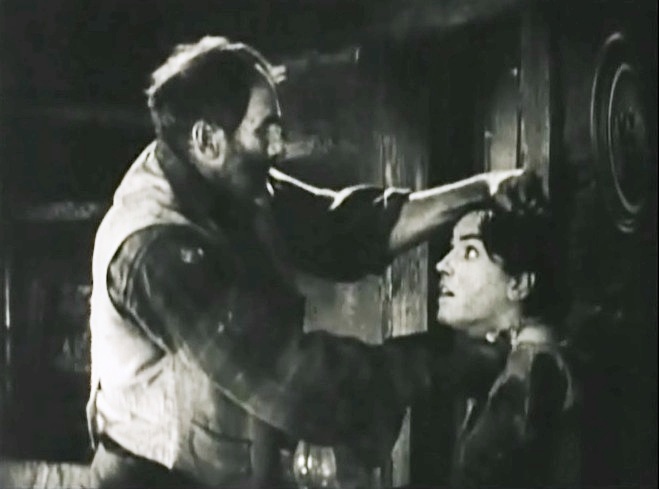 Forrest Robinson is warned by Ernest Torrence to keep his mouth shut or else in "Tol'able David" (1921). Richard Barthelmess waits in agony as a doctor attends his gravely injured brother in "Tol'able David" (1921). 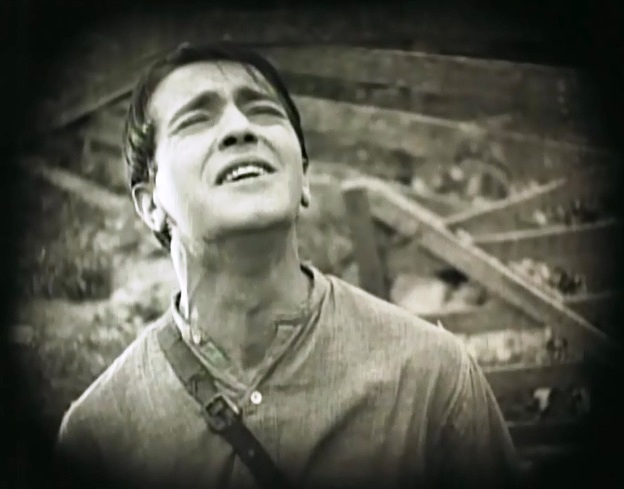 Richard Barthelmess is heartbroken to learn that his brother will be paralyzed for life in "Tol'able David" (1921). 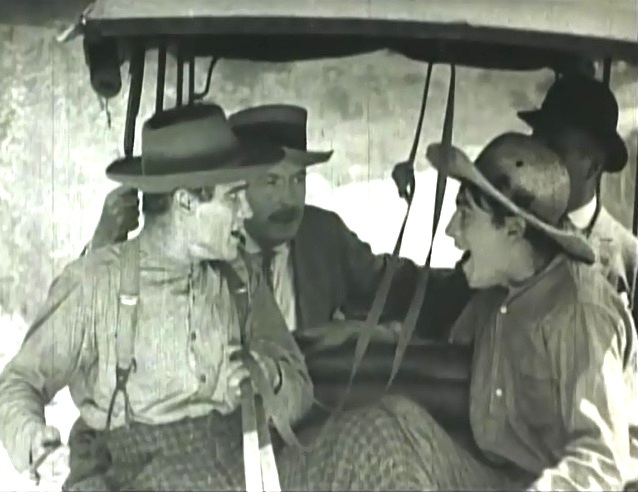 Marion Abbott wishes Edmund Gurney to come back when he takes a rifle to shoot their enemies in "Tol'able David" (1921). 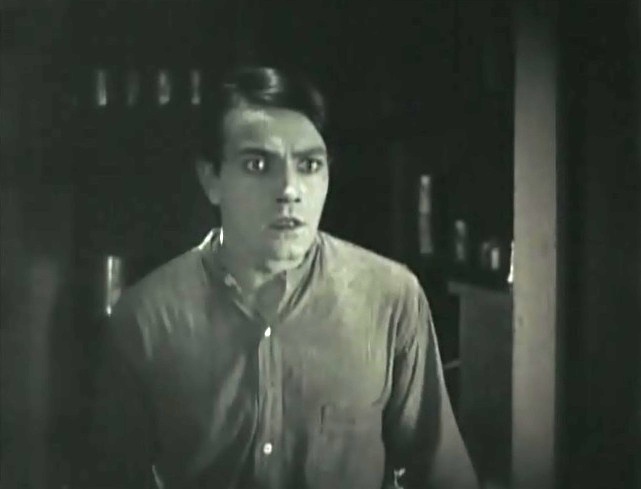 Richard Barthelmess is in shock when Edmund Gurney dies after a heart attack in "Tol'able David" (1921). 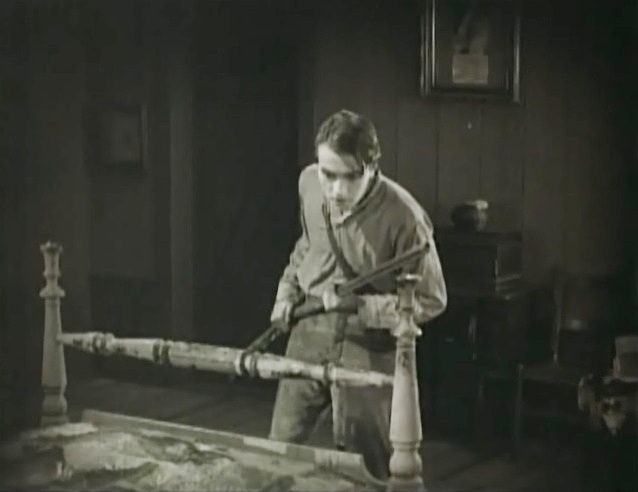 Richard Barthelmess picks up a rifle to avenge the loss of his father and brother in "Tol'able David" (1921). 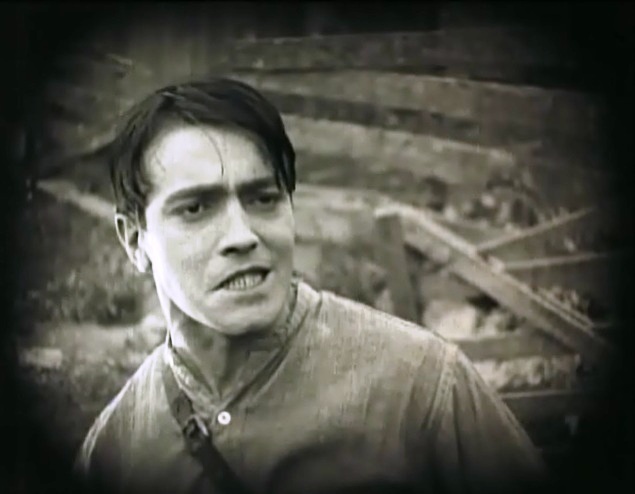 Richard Barthelmess rages when his mother stops him from avenging the loss of his father and brother in "Tol'able David" (1921). 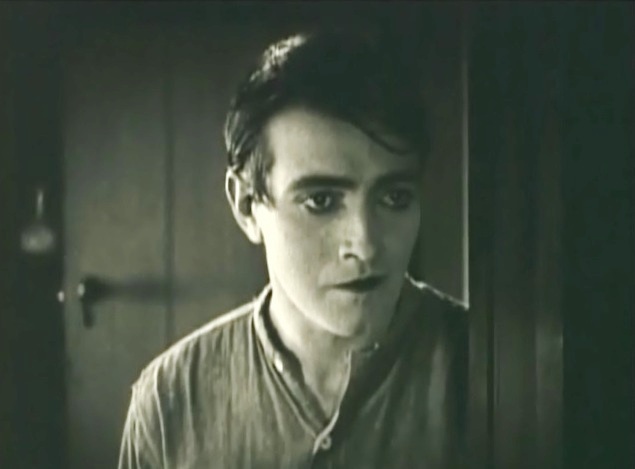 Richard Barthelmess knows that he must obey his mother as he is now the only man at home in "Tol'able David" (1921). Richard Barthelmess blames Gladys Hulette for his family's misfortunes in "Tol'able David" (1921). 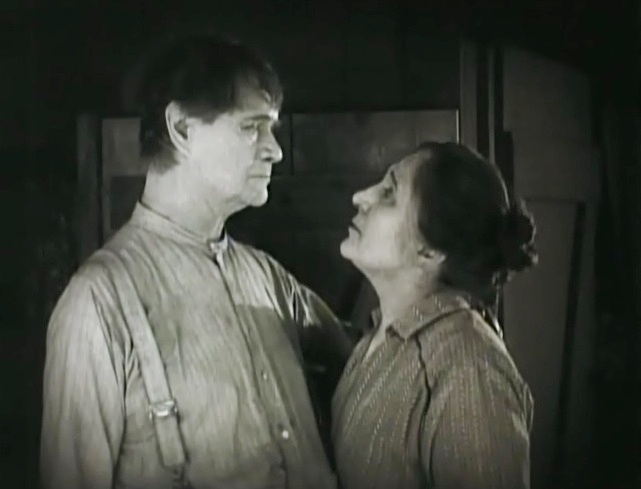 Richard Barthelmess reconciles with Gladys Hulette in "Tol'able David" (1921). Richard Barthelmess finally gets the job he dreamed for all his life - to deliver the mail in "Tol'able David" (1921). Gladys Hulette is thrilled to see Richard Barthelmess drive the mail carriage in "Tol'able David" (1921). 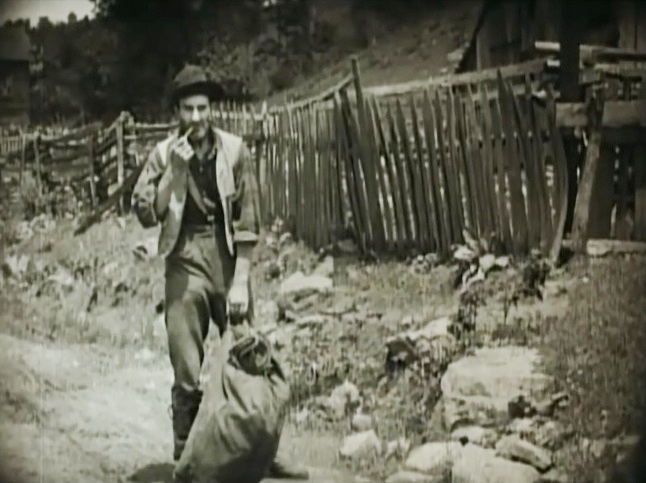 Ernest Torrence picks up a mail bag on the road in "Tol'able David" (1921). 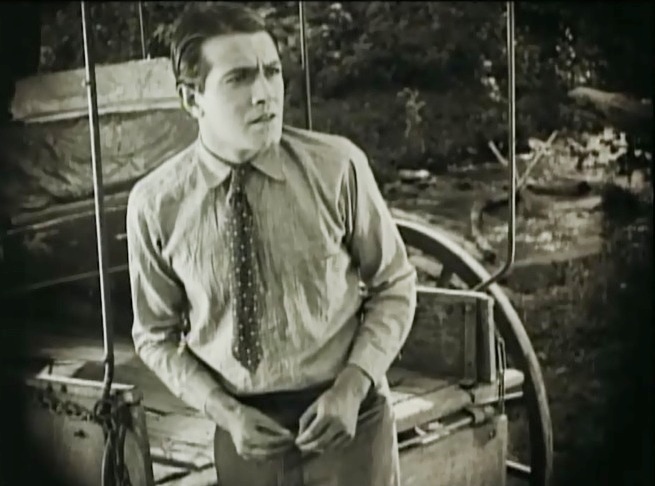 Richard Barthelmess is horrified to realize that he lost a mail bag on the road in "Tol'able David" (1921). 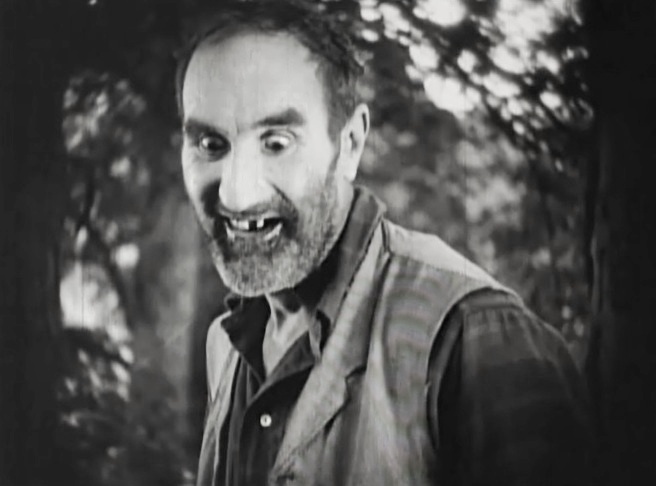 Gladys Hulette is threatened by Ernest Torrence when she tries to recover the mail bag in "Tol'able David" (1921). 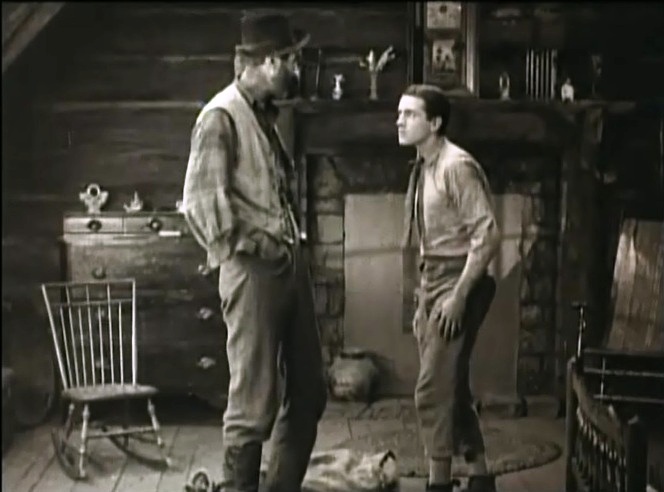 Richard Barthelmess confronts Ernest Torrence for stealing the mail bag in "Tol'able David" (1921). 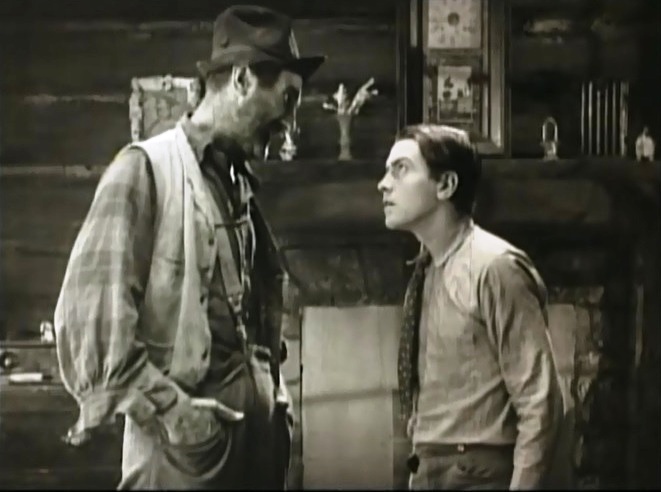 David and Goliath: Richard Barthelmess confronts Ernest Torrence in "Tol'able David" (1921). 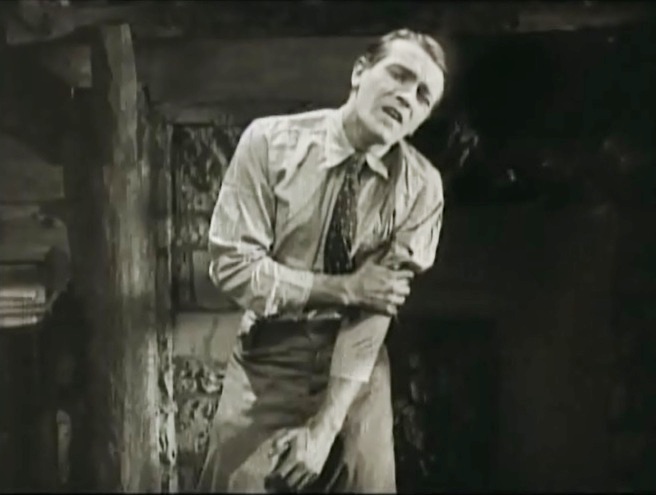 Richard Barthelmess is shot in the arm in "Tol'able David" (1921). Ernest Torrence finally sees a chance to get Gladys Hulette in "Tol'able David" (1921). 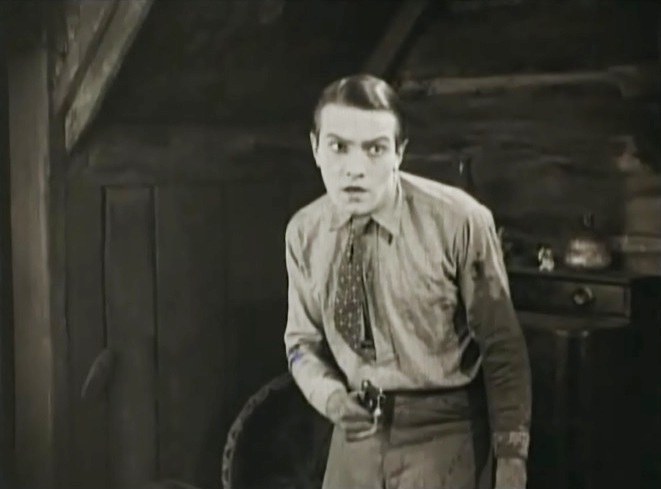 Richard Barthelmess gets ready to shoot in self-defense in "Tol'able David" (1921). 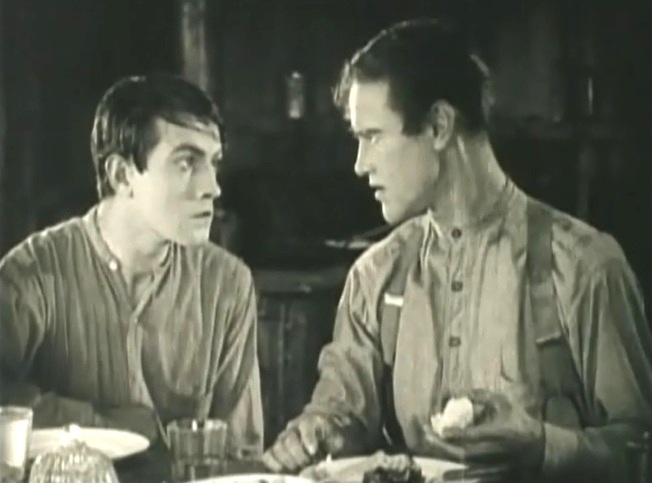 Richard Barthelmess is about to start a life and death fight with the mighty Ernest Torrence in "Tol'able David" (1921). 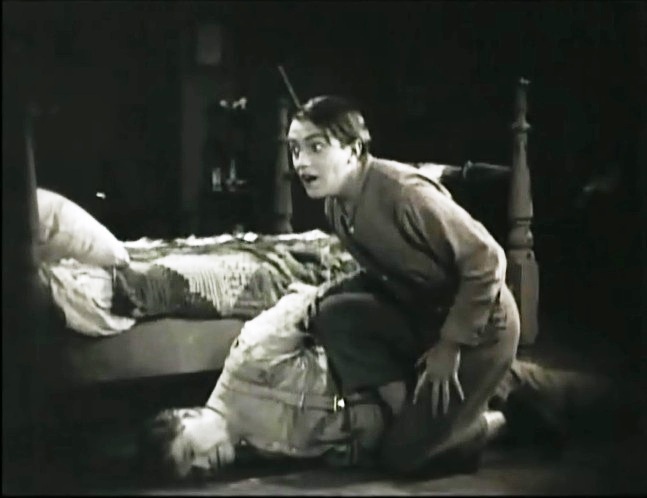 Richard Barthelmess appears close to losing the fight and his life, overpowered by Ernest Torrence in "Tol'able David" (1921).